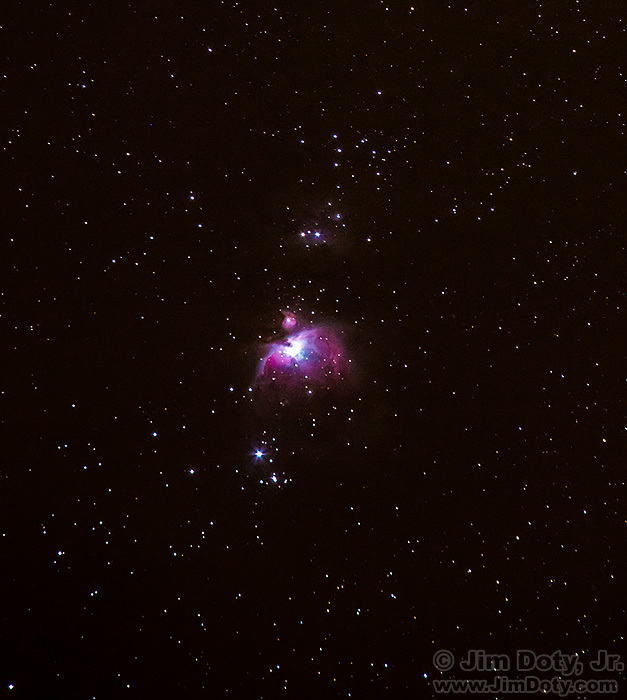 Orion Nebula photographed with an iOptron SkyTracker, DSLR camera and 100-300mm zoom lens. iOptron makes economical astrophotography gear that allows you to track the motion of the stars across the night sky. To learn more about this equipment and learn how to use it, read the “How To” Series: Astrophotography with the iOptron SkyTracker. You will need a ball head to go with the SkyTracker or SkyGuider Pro. The iOptron ball head below is a good option. I have also included a couple of planispheres. It would be a good idea to read this article: The Best Night, Astronomy, and Astrophotography Books. Choose a planisphere that matches your approximate latitude. Spin the dial to match the date and time and the planisphere will give you a map of the overhead night sky.